Microsoft finally released Windows 7 RTM (Released to Manufacturers). This may be not a big news for customers but it means a lot for developers. Windows 7 RTM means it is finalized version and has completed editing and making changes to it. We hope Microsoft would release it’s windows soon, may be in a month or two. Windows 7 RTM was released for the manufacturers to test their hardware on the new windows. And make final changes to be released on their new computer models. Windows 7 may look like a bit improved version of Vista but this is not the reality. Inside its totally different, its much faster, safer and has lesser problems than Vista. We hope soon torrent sites would be flooded with Windows 7s leaked copies, and we hope Microsoft would do something for it. Windows 7 Release Date has been set at 22nd October 2009, but Windows 7 is now available to pre-order for half-price! The offer is only valid for while stocks last and then customers will have to Buy Windows 7 for full price. 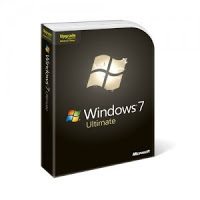 The Windows 7 testing program has finished and the Windows 7 RTM has just been leaked on torrents as Windows 7 RTM Build 7600, and it will be available officially later in July 2009. Best, funny and cute pick up lines ! !